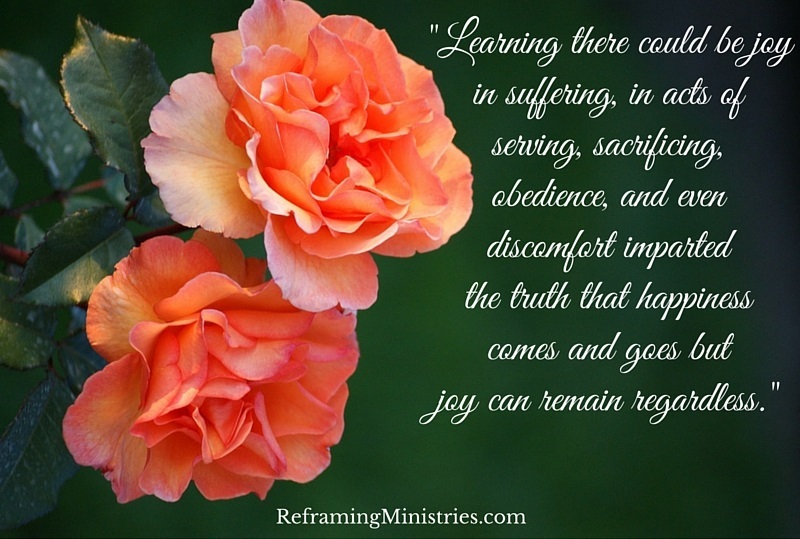 Learning there could be joy in suffering, in acts of serving, sacrificing, obedience, and even discomfort imparted the truth that happiness comes and goes but joy can remain regardless. Kindness comes from accepting our forgiven souls and lighting the way, holding the hand, wiping the feet of another. 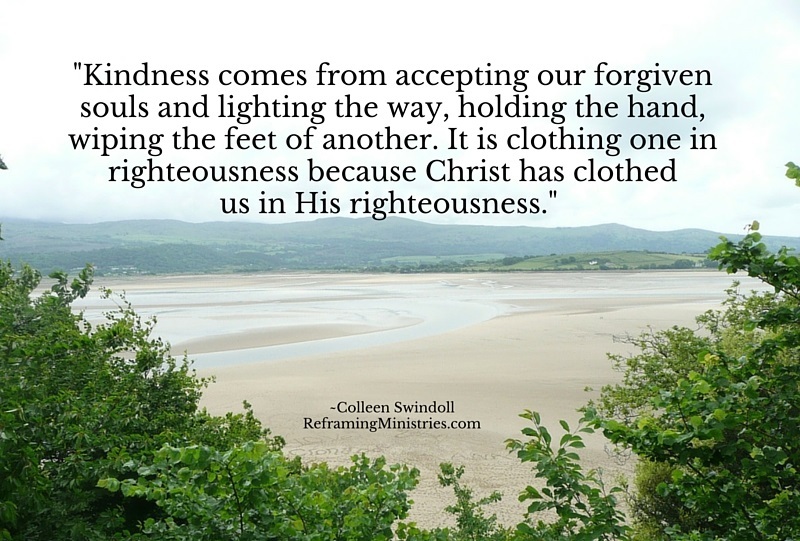 It is clothing one in righteousness because Christ has clothed us in His righteousness. 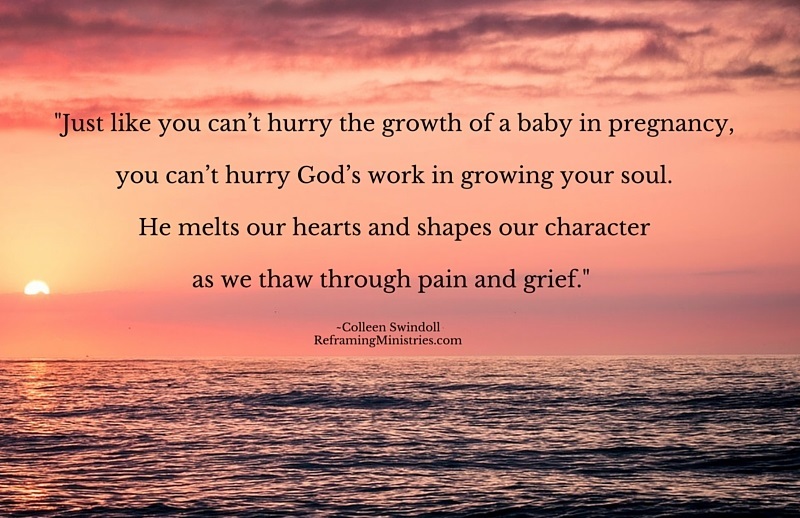 Just like you can’t hurry the growth of a baby in pregnancy, you can’t hurry God’s work in growing your soul. He melts our hearts and shapes our character as we thaw through pain and grief. 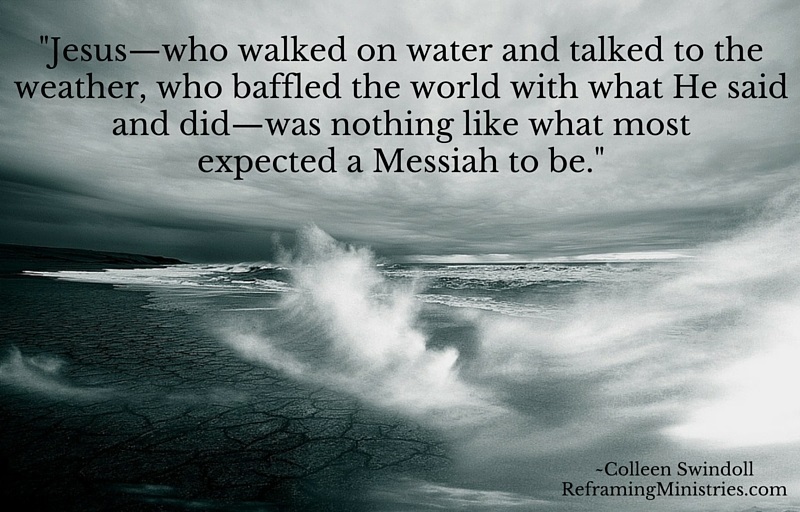 Jesus—who walked on water and talked to the weather, who baffled the world with what He said and did—was nothing like what most expected a Messiah to be. 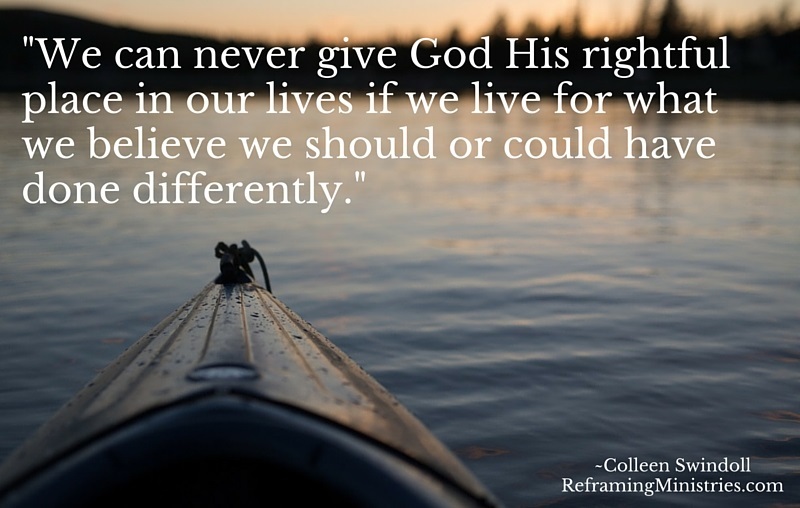 We can never give God His rightful place in our lives if we live for what we believe we should or could have done differently. 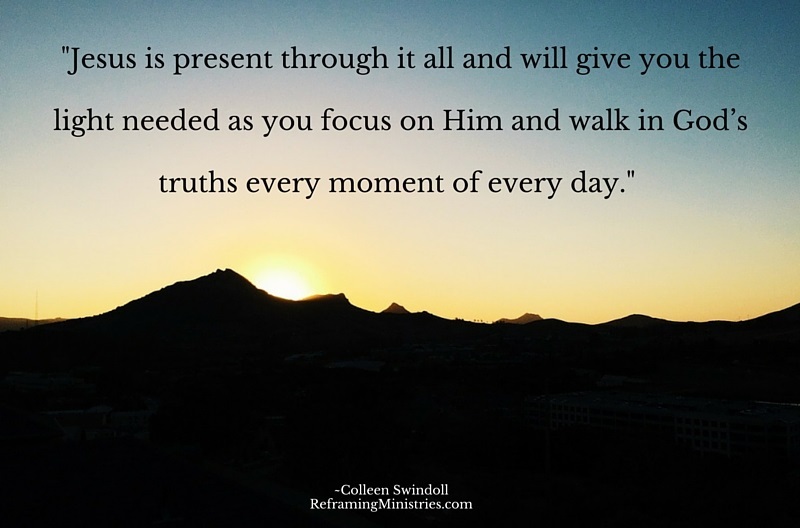 Jesus is present through it all and will give you the light needed as you focus on Him and walk in God’s truths every moment of every day. 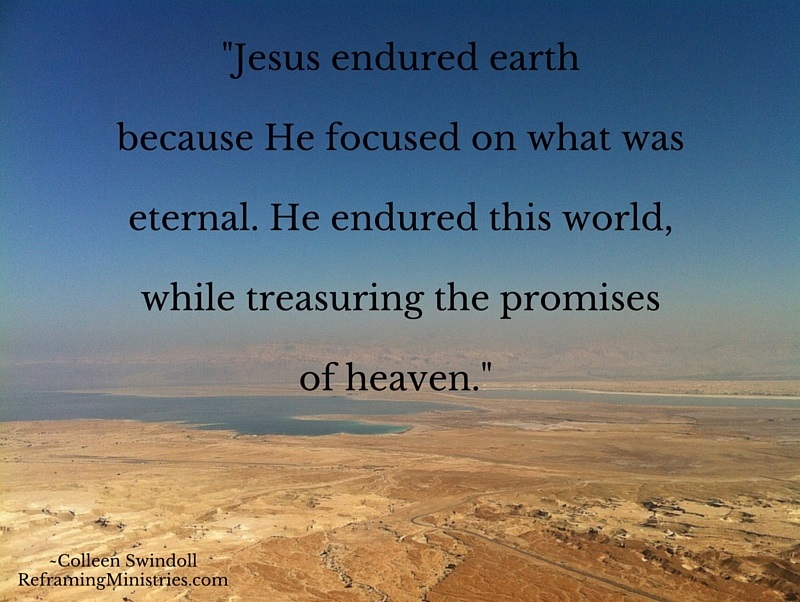 Jesus endured earth because He focused on what was eternal. He endured this world, while treasuring the promises of heaven. 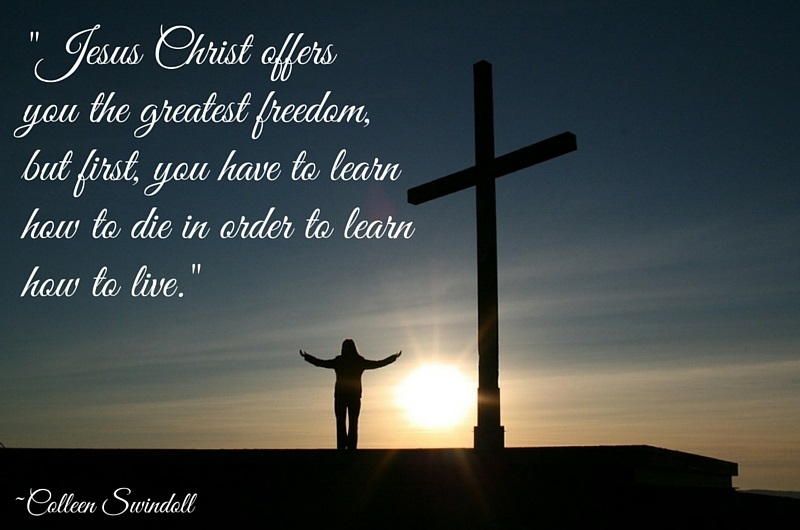 Jesus Christ offers you the greatest freedom, but first, you have to learn how to die in order to learn how to live. 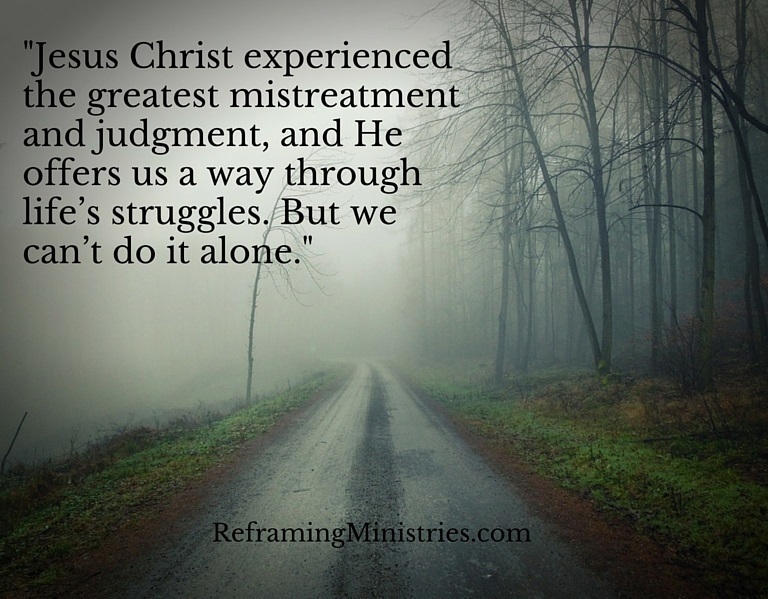 Jesus Christ experienced the greatest mistreatment and judgment, and He offers us a way through life’s struggles. But we can’t do it alone.